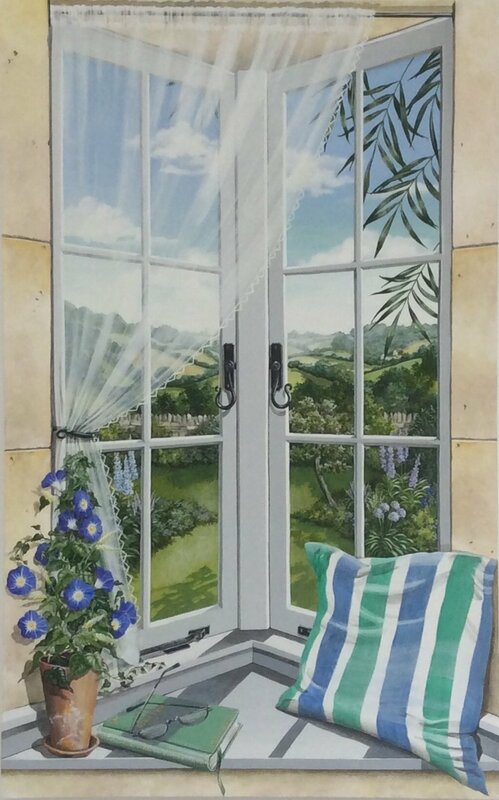 Originally trained in Graphic Design, Jane has specialised in Trompe L'oeil and still life painting for over 20 years. She has painted many murals for local residents and business clients. Her still life paintings are generally simple compositions that focus intently on the detail of the subject . She has recently begun to paint local landscapes and has become fascinated by ruined buildings where nature is gradually taking over man made structures. Painting in oils as well as acrylic she is happy to work to commission . She also has a range of quirky cards called 'In the Frame ' with a Trompe L'oeil twist.